The top 12 finalists in the United States Hunter Jumper Association Emerging Athletes Program traveled from throughout the nation to Country Ridge Stables in Mundelein, Illinois, to spend four days being evaluated on their riding skills, horsemanship abilities and horse care knowledge. 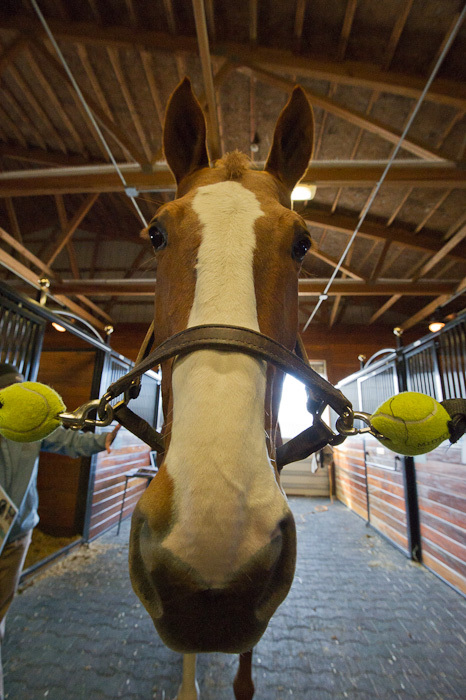 Event organizer Kimber DiTallo even offered up her own horse as a subject, and he was a patient soul while he was poked with needles during the acupuncture session, prodded during the veterinary examination and chiropractic evaluation, and repeatedly pulled out of his stall for various demonstrations. But, I have to admit, that I didn’t feel too sorry for him when I photographed the session on equine massage. Let’s just say by the end of the day he looked like he had a permanent smile on his face. You should know by now that the current Schnauzer”s name is Mozart, not Braxton..